Recently I’ve been receiving a lot of inquiries from fathers who want assistance with child support or child custody issues. 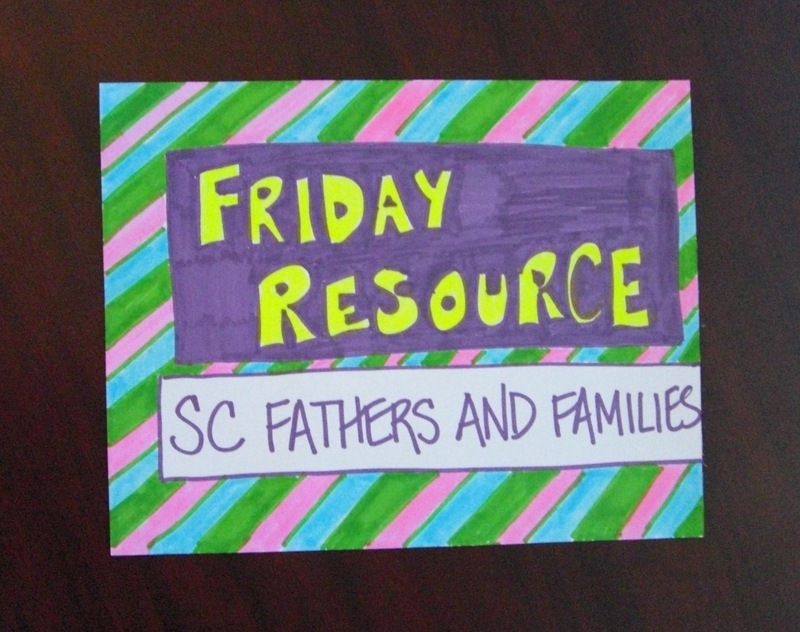 And I have the perfect resource for them, the South Carolina Center for Fathers and Families. The South Carolina Center for Fathers and Families, a statewide nonprofit organization, was founded in 2002 by the Sisters of Charity Foundation of South Carolina. If you are not already familiar with the center, please explore their website. And, for additional information about the impact, the U.S. Department of Health and Human Services’ Administration of Children and Families Office of Family Assistance featured the SC Center for Fathers and Families in a report released in May 2009. For the last few weeks, in my daily newspaper, I’ve seen ads reminding me that Father’s Day is coming and I should purchase that special gift for my father. 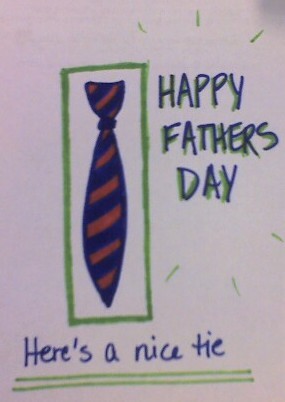 Happy Fathers Day: Here's a nice tie! Well, my dad isn’t much for material gifts – goods or services. His repeated message to me is to be a happy, healthy, responsible and well-adjusted adult. And he’s offered me the gift of a stable role model, a provider for my family and someone who is available to talk to when things aren’t going so well or when something brings me joy. I’m lucky to have him in my life. And that got me thinking, thinking about families where fathers aren’t always around. Last spring the South Carolina Access to Justice Commission held public hearings around the state. And several fathers, participants in programs with the South Carolina Center for Fathers and Families, spoke up about the legal gaps they encounter. Father #1 currently has a wife and four children at home, but also two children from a previous relationship. He pays his monthly child support. He does not have any visitation rights. He asked for help to be able to see his children. Father #2 was incarcerated for being in arrears for his child support payments. As a result he was placed into the program and has been diligently working with the program. Father #3 meets the federal poverty guidelines even though he is working. He has been diligently paying his child support for 3 years and still does not have any visitation. Father #4 paid child support for years without any visitation. He came to the program for assistance with visitation. Communication with his child’s mother was at a stand-still. He was unable to make any headway until he came to the Fatherhood program and learned skills to communicate with his child’s mother. As a result of his new skills, he was finally able to obtain visitation. Another father participated in the SCETV special program on The Big Picture which focused on the South Carolina Access to Justice Commission and Self-Represented Litigants. The Center performs a needed service – uniting children with their fathers. And that’s something good to remember this Father’s Day. For more information about the Center for Fathers and Families, you may want to review the history of the center. The Center was developed from “Reducing Poverty through Father Engagement,” which was launched in 1997. This Thursday, December 11, 2008 at 7:30 p.m., tune in to your local SCETV station to watch The Big Picture with Mark Quinn. The South Carolina Access to Justice Commission has been working with Mark Quinn and the SCETV staff to produce a program about access to justice in general as well as self-represented litigants (SRLs). Just this morning, SCETV interviewed Robin Wheeler, Executive Director of the South Carolina Access to Justice Commission, and Eric Smith, a father who successfully represented himself in a child custody action with assistance from the Midlands Fatherhood Coalition, a member of the SC Center for Fathers and Families funded by the Sisters of Charity Foundation of SC. TV repeats of Thursdays broadcast will air each Saturday at 7:30 p.m. and again on Sunday at 1:00 p.m.
And don’t forget to tune in this Friday morning at 9:00 a.m. to the Big Picture radio show where the discussion continues.